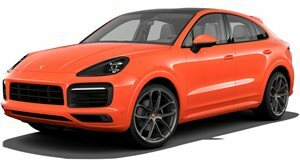 Could this be our best look yet of Porsche’s new SUV? There have been seen testing in various parts of the globe but frustratingly its most distinguishing feature, that sloping rear end, has yet to be seen without any camouflage or snow sticking to it. As you will see here, a few shots show test vehicles in largely undisguised form too, but this leaked sketch on Instagram gives us the best idea yet of what the upcoming SUV coupe could look like from the rear. 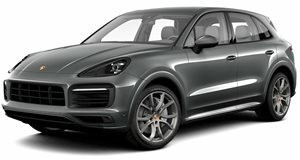 In recent years, the term ‘coupe’ has been used with some abandon, perhaps most inaccurately to describe high-riding SUVs with five-doors, and while Porsche has not officially named its BMW X6 competitor just yet, it will fall into exactly this category when it finally arrives. The sketch itself does echo the design elements already seen on test mules such as the electronically retractable rear spoiler and sloping roof-line, something it also has in common with the current Panamera. The smaller Macan SUV also has a similar rear light cluster and angled rear end so it is quite reasonable to assume that the final product will not deviate too much from what you see here. , the rest of the SUV will remain pretty much the same as the new Cayenne. The two will also be sharing drivetrain components although the Cayenne Coupe will be positioned slightly higher price-wise as its other ‘SUV coupe’ rivals are. A full reveal is expected at the 2019 Frankfurt Motor Show this September. Despite the higher price tag, less practical interior and smaller cargo area, there is little doubt that when the Cayenne Coupe does eventually go on sale it will be a sure-fire hit, such is the nature of the motoring industry these days.